Junior race car ride along program at Daytona International Speedway is for children ages 6 to 13 years. The minimum height is 48 inches. The children who are visiting Daytona will enjoy this ride along program at the Daytona International Speedway. There will be three laps around the track. Guests should know there is a particular seat on the passenger side of the race car. The child will get to ride along in a NASCAR. 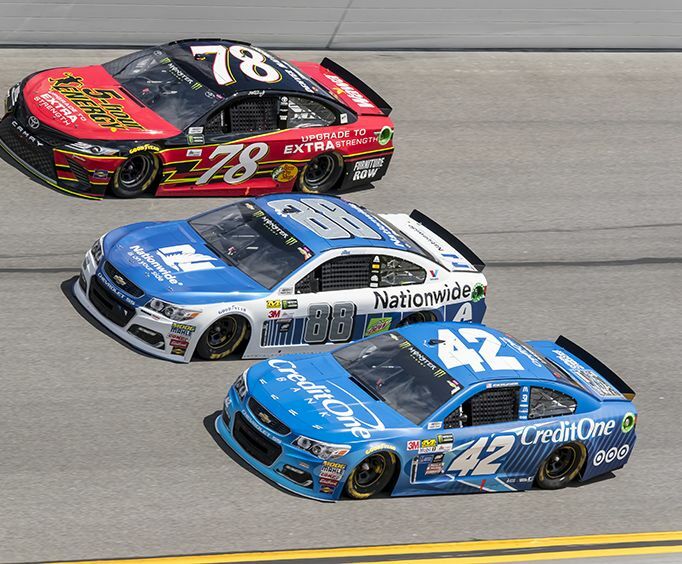 The NASCAR driver will reach speeds of up to 80 miles per hour. However, if the child is uncomfortable with going up to 80 miles per hour, the driver will slow down. Junior race car ride along program at Daytona International Speedway is for children ages six years to 13 years. The same pricing will apply to all passengers in the junior race car ride along program at Daytona International Speedway. Guests who are between 6 years and 13 years and are under 48 inches are not going to be permitted to drive in the ride along. 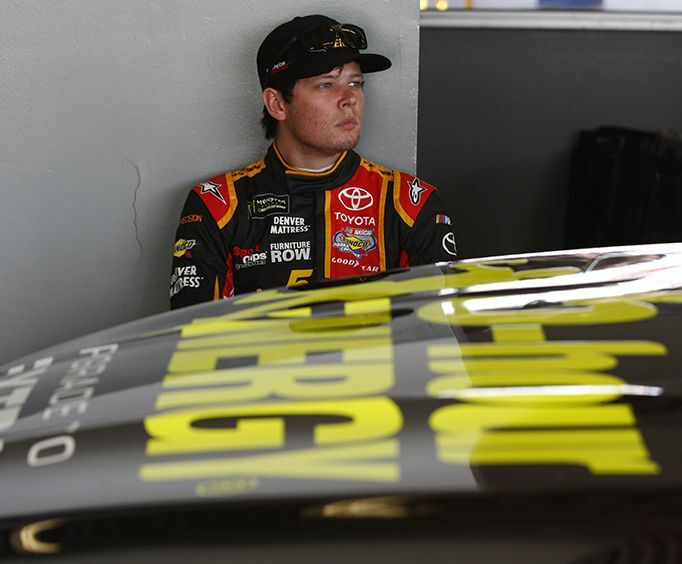 Included in the cost of the junior race car ride along program at Daytona International Speedway is one ride along for three laps with a professional NASCAR driver. There are no gratuities in the cost of the ticket to the junior race car ride along program at Daytona International Speedway. Also, guests are responsible for their transportation to and from the Daytona International Speedway. Guests riding in the junior race car ride along program at Daytona International Speedway should be between 6 years and 13 years. They should have reached a height of at least 48 inches. The event is one that will be a significant memory for all children taking part in it. 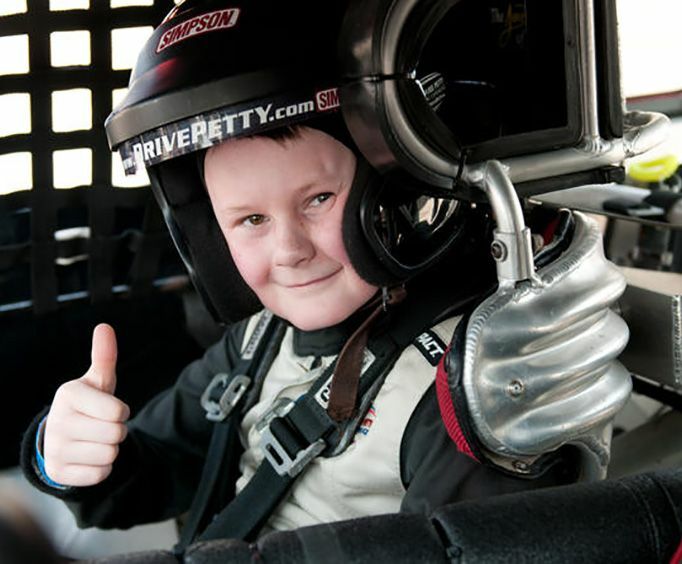 Your child's exciting race car ride-along takes place at Daytona International Speedway. Get ready for some exciting racing thrills! After suiting up in a driver's suit, neck guard and regulation helmet, they'll slide into the passenger's seat of a two-seater 600HP NASCAR race car specially fitted with seats that accommodate a child's body, so they can see over the dashboard. Their ride will last between 15 and 30 minutes, depending on how long it takes to gear up. Watch as the professional driver takes them on an thrilling 3-lap ride around the racetrack during a simulated race car qualifying run, reaching speeds of up to 80 mph (129 kph). To ensure a safe and enjoyable experience, the driver will constantly monitor how comfortable your child feels with the speed, and will slow down whenever desired. This unforgettable once-in-a-lifetime experience will surely be the highlight of your child's trip to Daytona! Daytona International Speedway, Daytona Beach.